Another week, another day to write. Hello everyone, I hope you enjoyed the weekend and got time to do something different or maybe something cool. I've been recently using this time to take more rest because I always grind every day during the weekdays which is something really needed for me to gain energy and manage to refill motivation because I only have the weekend haha. I said in my previous posts that I don't want to look like that I'm trying to be a professional and spread negative knowledge pretending that I know everything because I don't have a Lamborghini in my garage that has a bookshelf or anything to indicate that I know so much haha. However, that didn't include me sharing something that I do every day, haha, to help other bloggers or maybe people in general because I think this works even with people out of the blogging atmosphere. I will be talking about three steps to do if you want to figure out a post and I will be mentioning situations in real life to match it because as I said, I'm sure this would work even if it's not a blog post and you still struggle. If you can notice that blogging is only part of our real life and if something that happens in one thing would happen in the other, but this doesn't apply to everything though. Sometimes when we try to do a post, it becomes a struggle because I find my mind empty and can't figure something out. It happened to me a lot since I started my blogging journey, but I always manage to go through it and end up with something to write and share with the world. I decided to share my way with you guys and would love to learn about new ideas as well or if you do the same way. However, as mentioned this will be mainly about bloggers and writing a post and will match it with real-life situations. Why would you ever your mind feel empty or confused? well, it's because thinking too much or doesn't have a specific aim. Let's just say that I've been through this before and I feel how to be through it. Sometimes the more you think, the more you go deeper in thoughts which kinda get confused and end up with nothing. Also, if there is nothing to aim for that would keep you in an empty road looking just keep looking around and just stirring your thoughts. Also, before I start the post, let me mention that following each step makes the process much easier to do and quicker. In my opinion, It's just like a puzzle when you get a part of it, and then the next one would be easier to get and so on. To be honest, sometimes I feel like that I won't be able to do a post, and follow these steps and end up with a post and be surprised how it happened haha. Anyways, let's get it! Every time I decide to write a post, I start by choosing the category for what I'm about to write. 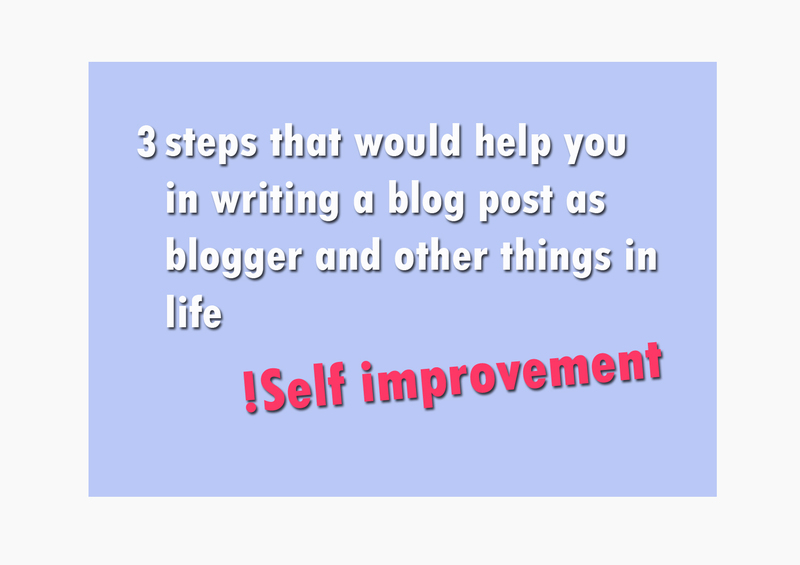 Sometimes when a blogger is not prepared for writing something, this step would help a lot for taking a decision of the first step. Even while thinking of a post and not on the laptop ready to write, your ideal and the best first thing to consider is what you want to write about. By the way, using the blogger platform can only be called 'labels' which work as a category in WordPress. Sometimes when you think too much and can't find something, putting an aim of what kind of post and in which of category really helps to go forward and from there you would be able to pick it up and keep going. For example, if you are an artist that look for something to draw, setting up a specific category(as if it was one of the Animals, houses, nature, etc) will allow you to take the next step. It might not be a category in real life, but knowing what is the problem or the thing you want to do or have is really helpful. for example, if you stuck on getting a phone case, then knowing what is it that you looking for would help you and it might be more than one in this situation which is ok. Hopefully, I nailed it with this example haha. After choosing the category that I want to write about, it will be easy for me to start organizing my content easily and pick a topic. Taking this post as an example, I took self-development as the category, then it came up to my mind to make it related to blogging and then that's how I did it. Sometimes it takes a little bit to figure out, but it will be easier. This may take a couple more steps to move to the next one if you have a list or something like that in your mind because you want to organize how to write it and stuff like that. However, organizing things in real life would be different from blogging and from the artist. For example, if you having a specific issue in the house and trying to fix after you locate or know what it is(just like choosing categories in blogging), you would be able to organize how to do it step by step if you know what I'm talking about. I can't take a particular example because most of the situations that we get stuck at in real life would be similar on the steps, but in different ways, if that makes sense. When you finish everything, you can manage to put a good title for your post and that's how I mostly do it with my blog. Sometimes we get it first, but I would prefer to finish writing, then look through to figure out a good title for it because this helps to get more ideas for it which you can choose from it. Also, if you already notice this works best for artists as well and more other than bloggers. You may not be able to name your drawings, but for sure it will be easy after it's done. However, I'm not sure it would be called a title in real life when you get through or out of a situation, but maybe you can give it a rate from 0-10 or describe the day as happy or fun because you can't just finish something in real life and give it a title haha. That's actually funny because sometimes I do it for fun. Alright, I hope you had fun reading this post and by the way, this was something new that I'm trying to do in the future which talks about stuff but adds entertaining jokes or moments as I talk about things other than life moments. I'm pretty sure there will be more awesome posts and more entertaining coming in the future and if you don't want to miss it, you can subscribe through the subscription box below and follow my social media on the sidebar. I have so many social profiles that you can choose whatever works for you haha. Stay safe and have fun Monday with a lovely coffee or tea, depends on your favorite one and time. I have my own notebook where I write all the titles that comes into my mind, it doesnt matter if Im writting or not in that moment. I left them there. When I sit to write, I already have my list with ideas, and pick one from there. These are useful tips especially for new bloggers! Thanks. I absolutely loved reading this post ☺ These are truly amazing tips for bloggers! I keep a spreadsheet of ideas broken down by category for my blog posts. Then I choose a post and title, and let that determine what I write about. But, there are many times I go back and edit a title based on what I ended up writing. It's so important to have a basic outline of a blog post. I know that so much about being a blogger is about writing in your own voice. An outline allows me to do that without mindlessly rambling or getting too far off topic. 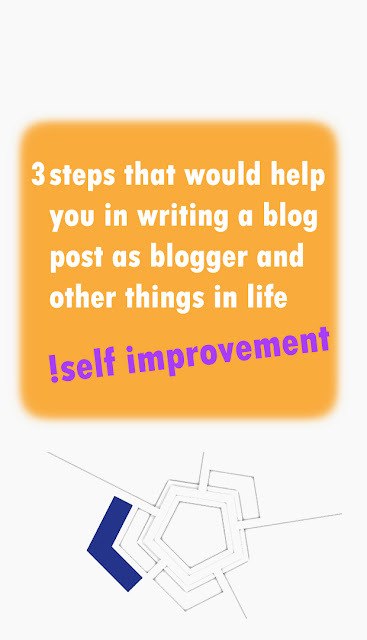 Wow very helpful tips especially to the all newbie bloggers thanks for sharing. I just save draft titles/post ideas right in my Wordpress account, if I am at my computer. Otherwise, I jot down post ideas, outlines, draft titles, etc. in my Bullet Journal. It's interesting how everyone's process is different. Great post! As a blogger myself I totally agree on the organisation point, organisation is a real key when you want to enjoy beeing a blogger. These are terrific tips for writing. I have been in the habit of writing a title first, and then fitting the writing to suit. The more I blog, the more I agree with you- crafting a title at the end might encapsulate the thoughts more definitely. Thanks! I agree organizing the content is very important! I find myself reorganizing it often to make sure its tidy and makes sense. These steps are very helpful. I will try to use this in a structured manner the next time I need to write something. these steps are definitely useful! As my blog has such a specific niche, I usually don't struggle to find the topic, but it is difficult to present the things in somewhat original and attractive way! I'm always looking for tips on blogging and being a better writer. I'm pinning this to come back to later. Great tips, thanks for sharing. A good title is always important!